1. Unfold the carry bag, and place the DVD Player on the bag beneath the elastic straps. is across the face of the DVD Player. 2. 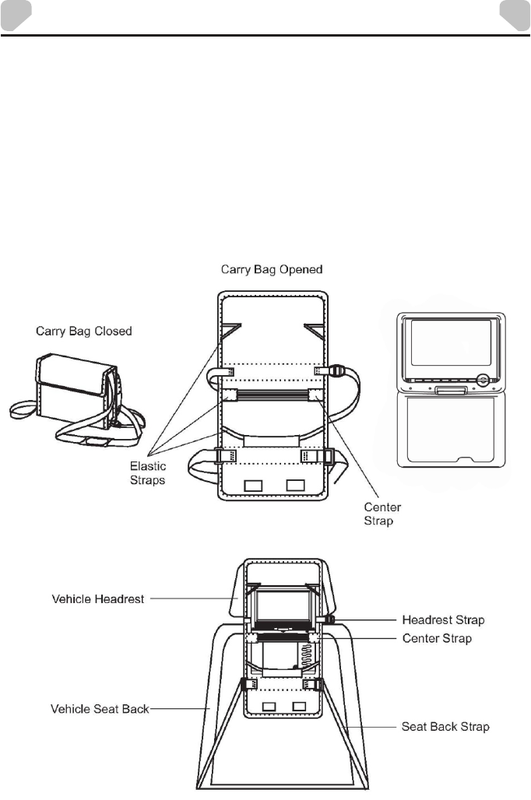 Secure the upper portion of the carry bag to headrest support bars using the headrest strap. Adjust the headrest strap until the bag is firmly secured. 3. Secure the lower portion of the carry bag to the vehicle seat back using the seat back strap. Adjust the seat back strap until the bag is firmly secured.